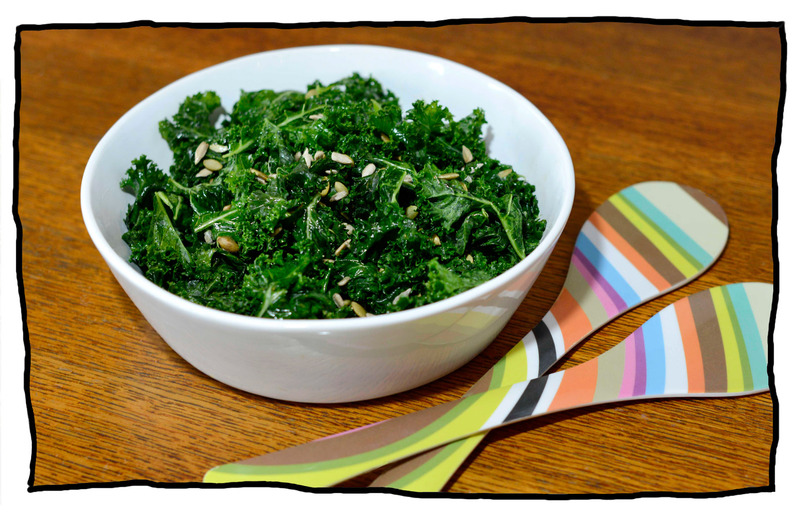 Remove the kale from the stems and tear into pieces. Place in a bowl with the salt and massage the leaves until they go dark green and softer in texture. Add the olive oil and lemon juice and toss to coat the leaves. Add half the seeds and combine. Place in a serving bowl and garnish with the remaining seeds. This is just the simplest salad, but you’ll be surprised how useful it is for winter dining – perfect with kumara and roast lamb, for example!